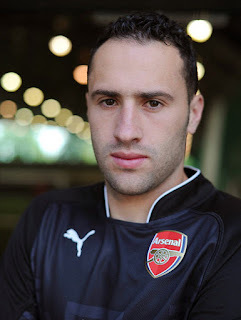 Arsenal have agreed to sell David Ospina to Fenerbahce for €5.5m (£3.9m), according to reports in Turkey. With the Gunners reportedly closing in on the £11m transfer of Chelsea goalkeeper Petr Cech, HaberTurk have claimed that Turkish side Fenderbahce have agreed the deal to sign the Colombian stopper. It has been reported Arsenal manager Arsene Wenger sees Wojciech Szczesny as his No 2 behind the incoming Cech. Arsenal are Petr Cech's preference, as he prepares to leave Stamford Bridge after 11 years at the club. Chelsea would rather sell the Czech international to French champions PSG, who are also interested, but Cech wants to stay in London as his family are settled in the capital. Ospina arrived from Nice for a reported £3m last July, he made 20 appearances for the Gunners in all competitions last season.